We are pleased to invite you to our 3-day Magellan Plus workshop. The workshop is organized by Ifremer and will be held at Pôle Numérique in Plouzané May 20-22, 2019. The workshop aims to bring together scientists – students, early career, and senior – who have a scientific interest in drilling onshore and offshore Haiti. Registration is free but mandatory for organization purposes. Lunch will be provided on Monday and Tuesday. The official meeting dinner will be held on Tuesday evening. Haiti is bounded by the unique development of a dual transform fault system that is incredibly complex. 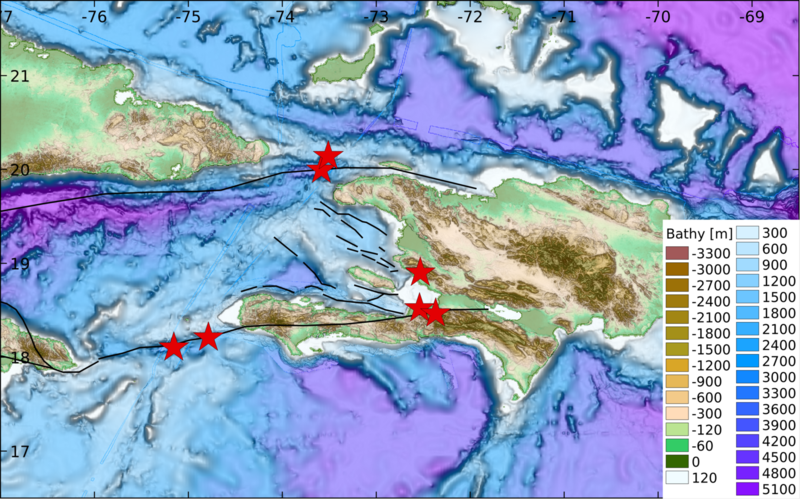 The two transform fault zones – the Enriquillo-Plaintain Garden Fault zone (EPGFZ) and Oriente-Septentrional Fault zone (OFSZ) - are both highly segmented, have multiple splay faults, and in some places have no observable fault trace. A compressional wedge exists between the eastern portions of these fault zones, which has the potential for producing vertical displacements. The occurrence of the 12 January 2010 magnitude 7.2 near Port-au-Prince Haiti earthquake, which occurred near the eastern terminus of the EPGFZ, led to one of the highest earthquake death tolls ever-recorded (> 200,000). 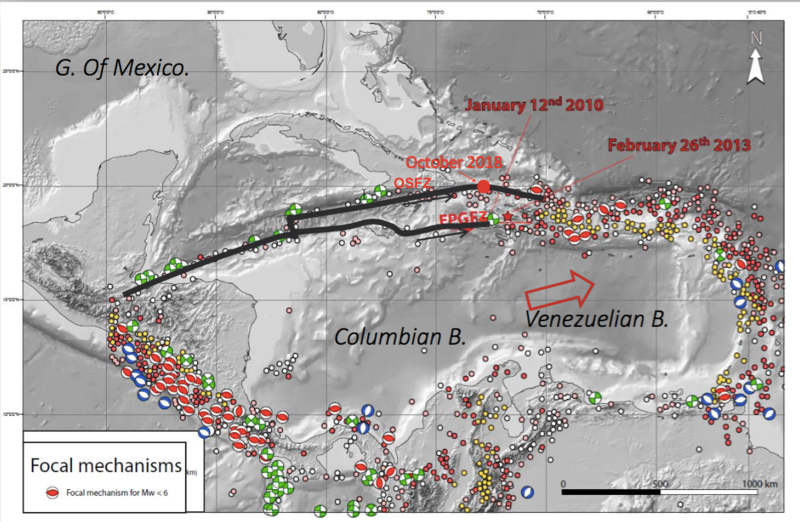 And recently, in October 2018, a magnitude 5.9 earthquake occurred within the La Tortue Channel just west of Port de Paix in the northern Haiti peninsula along the OSFZ. Thus, this dual fault system presents a risk to Haitians in terms of seismic and tsunami hazard. With this workshop, we aim to develop an amphibious drilling proposal. At present, the drilling proposal is designed to better understand the development of the dual transform fault system and to document the geological and initial thermo-mechanical conditions on multiple fault segments which may either be locked (accruing stress) or stably sliding (aseismic stress release). However, we would like to broaden what can be learned from drilling in Haiti. Therefore, we encourage scientists from other research fields to attend – particularly paleoclimate and deep biosphere. The last day to register is May 3, 2019.